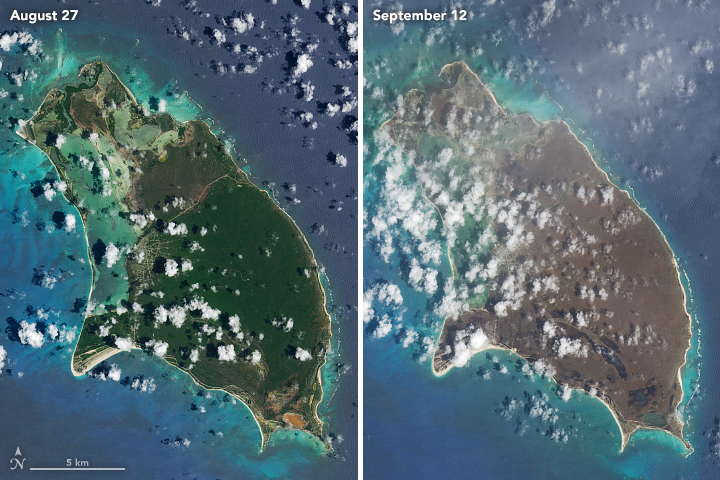 After Hurricane Irma, satellite images indicated a widespread browning of many Caribbean islands in the storm’s destructive path. 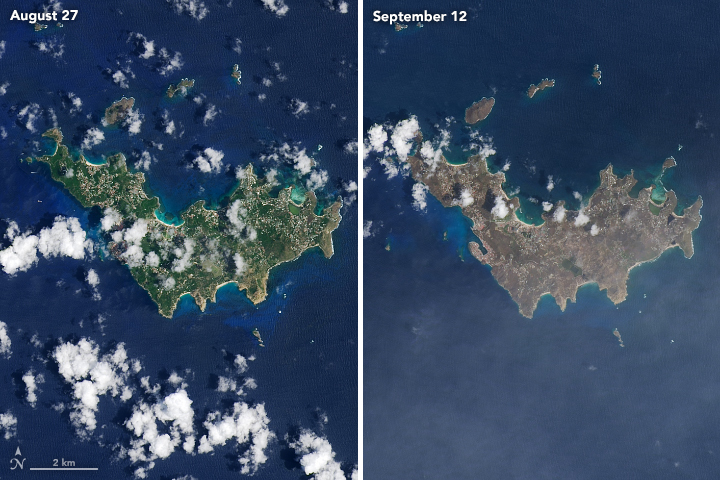 These natural-color images, captured by the Operational Land Imager (OLI) on the Landsat 8 satellite, show Barbuda (above) and Saint Barthélemy (below) before and after the storm. The views were acquired on August 27 and September 12, 2017. As noted in a story describing the same phenomenon in the Virgin Islands, there are a number of possible reasons for the browning. 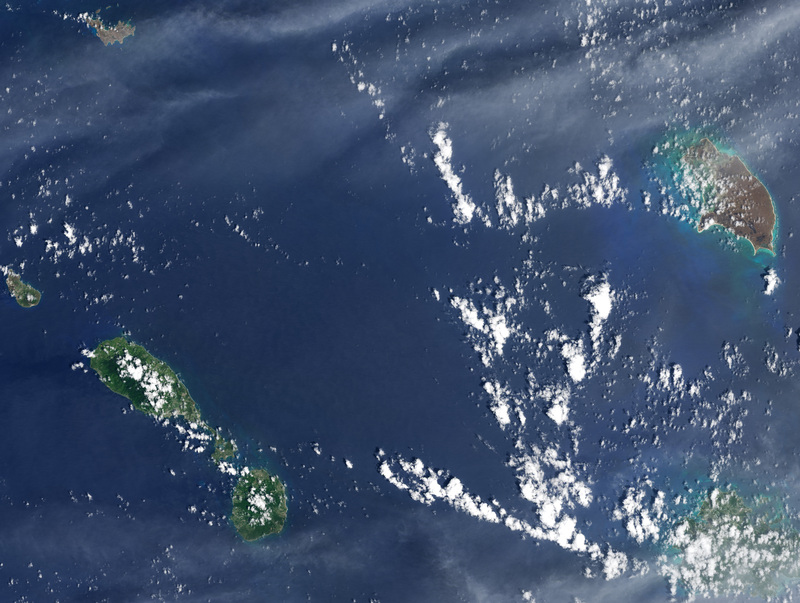 Lush green tropical vegetation can be ripped away by a storm’s strong winds, leaving the satellite with a view of more bare ground. Also, salt spray whipped up by the hurricane can coat and desiccate leaves while they are still on the trees. 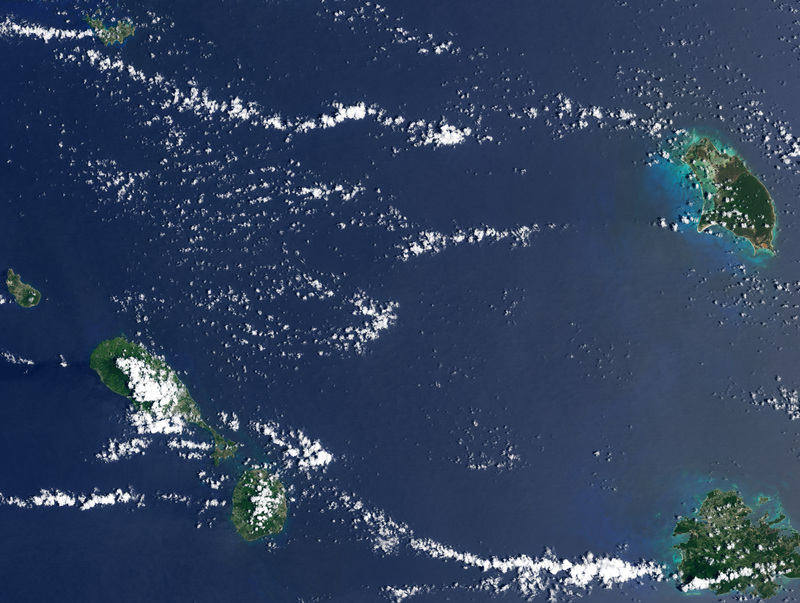 NASA Earth Observatory (2017, September 12) Hurricane Irma Turns Caribbean Islands Brown.